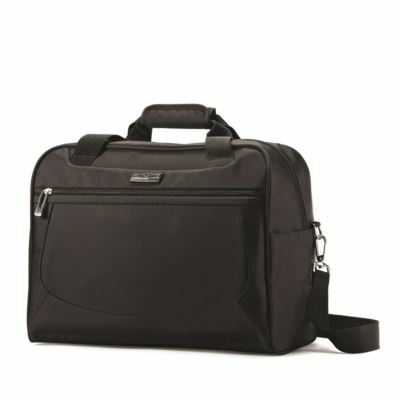 Product description: Mightlight2 is the newest iteration of Samsonite's premier lightweight collection. Like its predecessors, MIGHTlight combines durability, function, and extremely light weight into a case that will provide outstanding value. The carry-on now weighs 6.0 lbs., the lighest softside yet. surface. A well desighed packing area allows a place for eveything. Extremely lightweight yet durable handle set and fabric, plus innovative internal support system to provide strength while removing weight. Dimensions (L x W x H): 16.80" x 14.00" x 8.80"